The Duke and Duchess of Sussex are so good with kids! 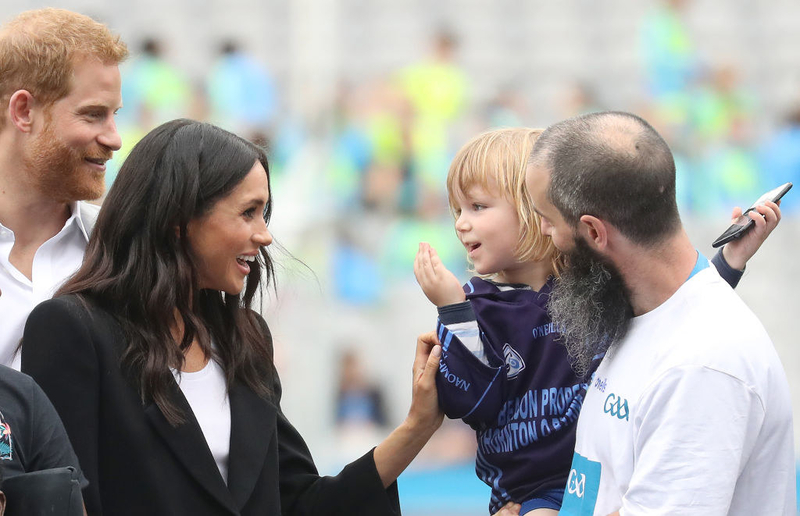 On a recent trip to Ireland, Harry, Duke of Sussex and Meghan, Duchess of Sussex spent some time with players and staff involved in community outreach projects at Croke Park, which is home to the Gaelic Athletic Association. And that is when the royal couple met an adorable 3-year-old boy named Walter Cullen, who seemed very interested in getting some hands-on quality time with Duchess Meghan. ...Prince Harry affectionately waved his finger at the little Walter, giving him a piece of his mind! It was all done in fun, though. 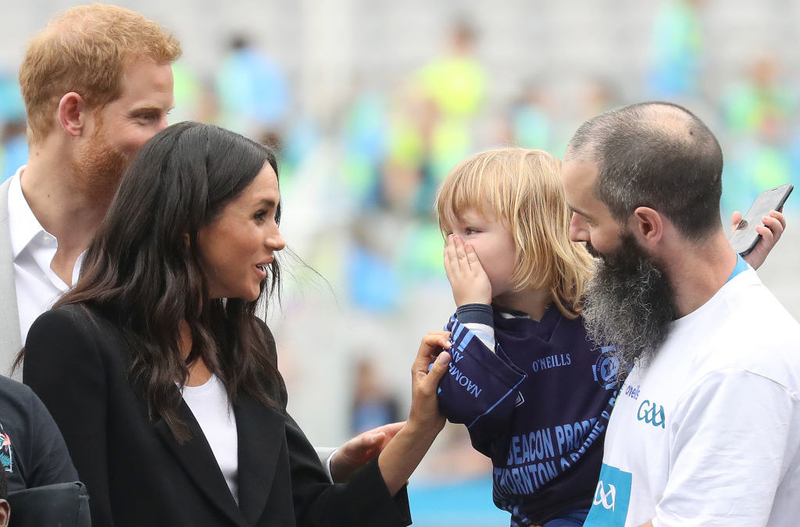 Prince Harry even proved what a good sport he is by letting another little boy, 3-year-old Dylan Mahon, grab his beard! It seems sweet little Walter definitely had no hard feelings for Duchess Meghan — he even blew her a little kiss! This is all just so lovely!